In what appears to be an increasingly common occurrence in Elk Grove, three suspects were arrested and placed in custody by police for possession, and in one case, sales of methamphetamine. The three suspects arrested included Sydney Nicole Moody, 24, of Citrus Heights who was contacted during a traffic stop near Acropolis Street and Laguna Park Drive. Moody, who is on probation, was searched and allegedly found in possession of methamphetamine, prescription medication, heroin, and narcotic paraphernalia. During a call for service on the 8500 block of Allister Way, police contacted Teh Vang, 39, of Sacramento and learned he had an active arrest warrant. 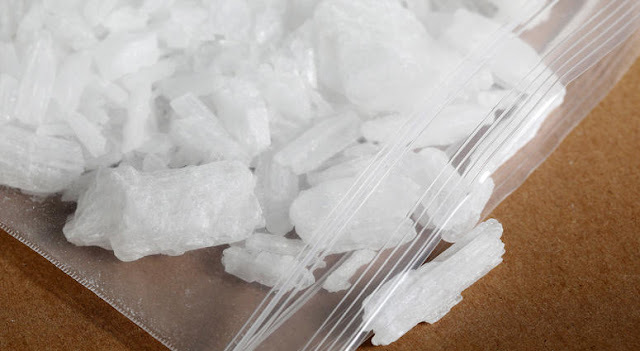 Police allegedly found Vang possessing methamphetamine. Julian Flores, 39, of Sacramento, was stopped for a motor vehicle violation on Bruceville Road and found to be on probation. A probation search of the vehicle led to the discovery of methamphetamine, evidence of sales activity, and narcotic paraphernalia. Moody has been released while Flores and Vang remain in custody at the county jail and are not eligible for bail. Flores and Vang will be arraigned on Monday, April 5.